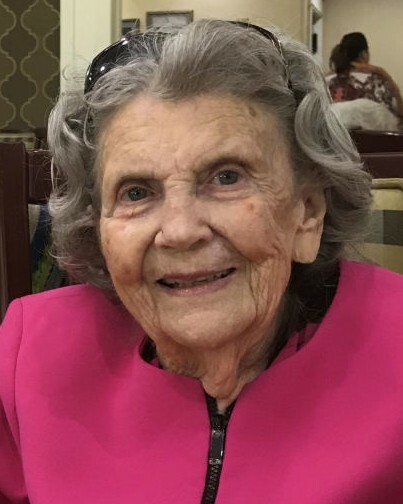 Martha Guess Dietz, 88, of Ringgold went home to be with the Lord on Friday, April 5, 2019. She was born on October 31, 1930 to the late Ernest and Leola Guess. She was a life-long resident of the North Georgia area and a member of Boynton United Methodist Church. Mrs. Dietz graduated from Lakeview High School. She enjoyed spending time with her family more than anything else. She was preceded in death by her loving husband of 62 years, Willis Dietz and her sister, Lynita Shirley. Survivors include her daughters, Jan (Don) Blazejewski; Jill (Raymond) Clark and Joye Creeden; sister, Wynette Johnson; nine grandchildren and 10 great-grandchildren. A private graveside service will be held at Chattanooga National Cemetery. Visit www.heritagebattlefield.com to share condolences with the family. A special thanks to the staff at Morning Pointe on Shallowford Road for all their love and care. In lieu of flowers, memorial contributions may be made to Boynton United Methodist Church. The family will receive friends 4-8 PM Tuesday at Heritage Funeral Home, Battlefield Parkway.